American/Argentinian. I'm a semi retired movie director and screenwriter—living part-time between the USA and Buenos Aires, Argentina—who not very long ago decided to start painting and discover with astonishment the immense pleasure holding a brush and lose myself on a white canvas. 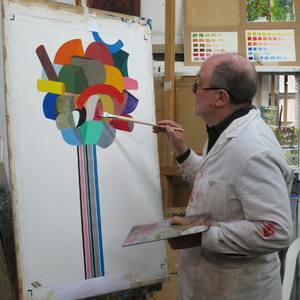 I currently study painting & water colour at the prestigious Taller Guillermo Roux in Buenos Aires.